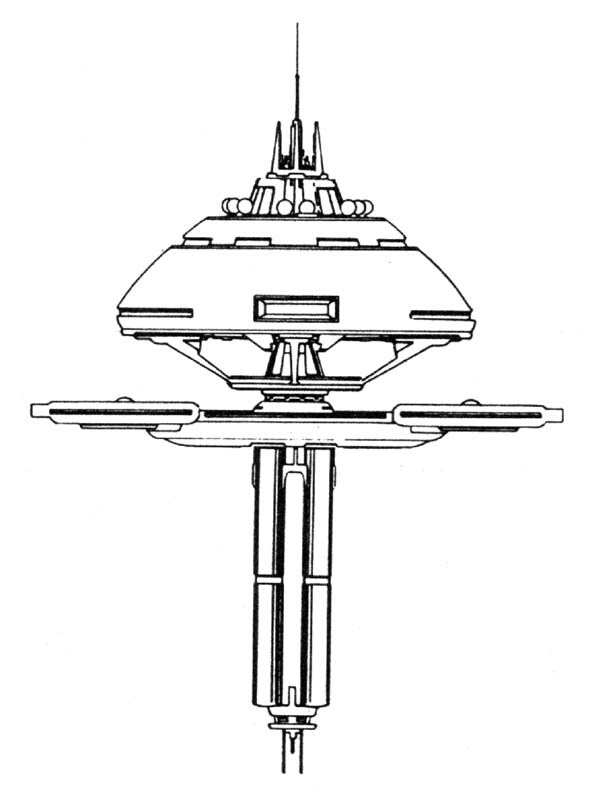 The R-1 Mercy Type orbital medical center functions both as a research center for medicine and xenobiology and as a hospital for treating medical emergencies in the far-flung regions of Federation space. In time of war, these stations can operate just behind the frontlines, allowing medical personnel to treat the maximum number of wounded in the shortest possible time. The R-1 Mercy is based on the standard R-1 design, with the following modifications. Capable of handling up to 200 patients, these levels contain support stations and diagnostic computers for monitoring patients. Besides storing shuttlecraft, this deck contains administrative off ices and conference rooms. Several medical laboratories replace the repair bays of the standard R-1 Type station. The radiology lab allows medical personnel to conduct tests on and treat victims of radiation poisoning. The prosthetics lab contains artificial limbs, organs, and implants for disfigured persons of almost every Federation race. The surgical ward includes 20 operating rooms, as well as postoperative and recovery rooms. These dining facilities serve both staff and visitors.